Cambus O'May on Royal Deeside, Nr Ballater, Cairngorms National Park, Aberdeenshire, Scotland, UK is one of those places that you will want to visit again and again, It has lochans, bridges and winding trails through beautiful Scots pine forests. A popular spot today is the now disused Cambus O' May Quarry favoured by many climbers from around the world wishing to ascend the quarry's steep walls. 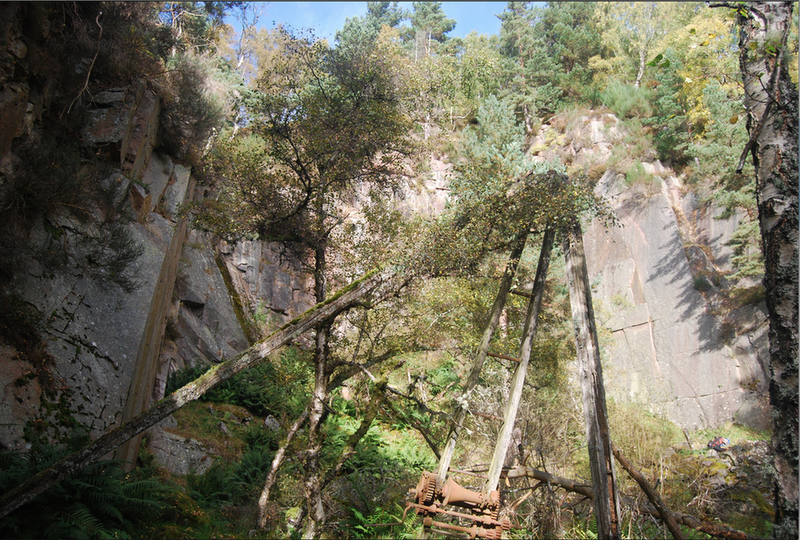 Below the imposing quarry walls could be found the original Scotch Derrick crane used over many years between 1850 and the 1930's to extract the famous and greatly sought after grey granite. The nearby 'Royal Warrant' village of Ballater with its strong links to Britains' Royal Family since the mid 1800's when Queen Victoria and Prince Albert purchased Balmoral Castle, can thank the Cambus O' May Quarry for supplying much of the granite to build many of the homes in the village. A scene from 'Raiders of The Lost Ark'? 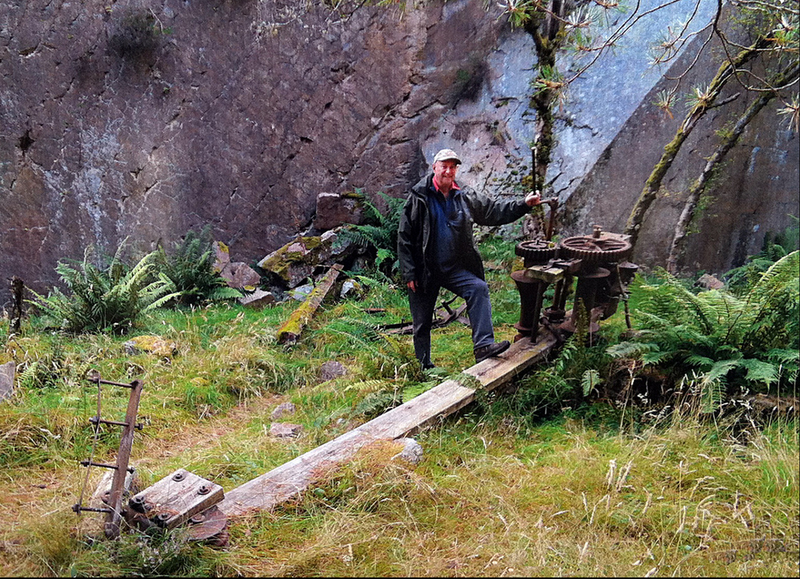 No, Hugh McKay of the Ballater Local History Group plans the rescue of the Cambus O' May Scotch Derrick crane. 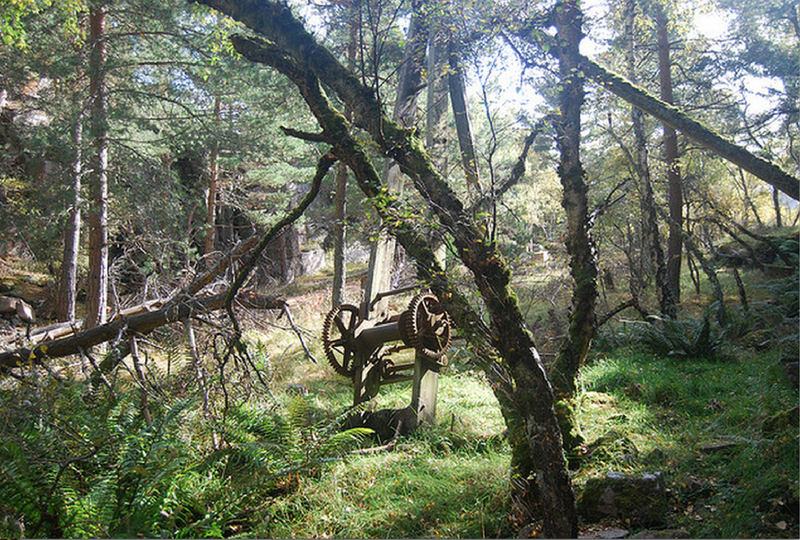 As you can imagine the Cambus O' May Quarry and the Scotch Derrick Crane meant a great deal to the Ballater locals as they both have played a large part in the founding of the village and in particular for local housing for the 'Bobbin Mill' workers (bobbins went to Madras in India). Houses were provided at the quarry for some workers (blacksmiths etc). Stone was moved to the Cambus O' May railway halt by horse and cart. 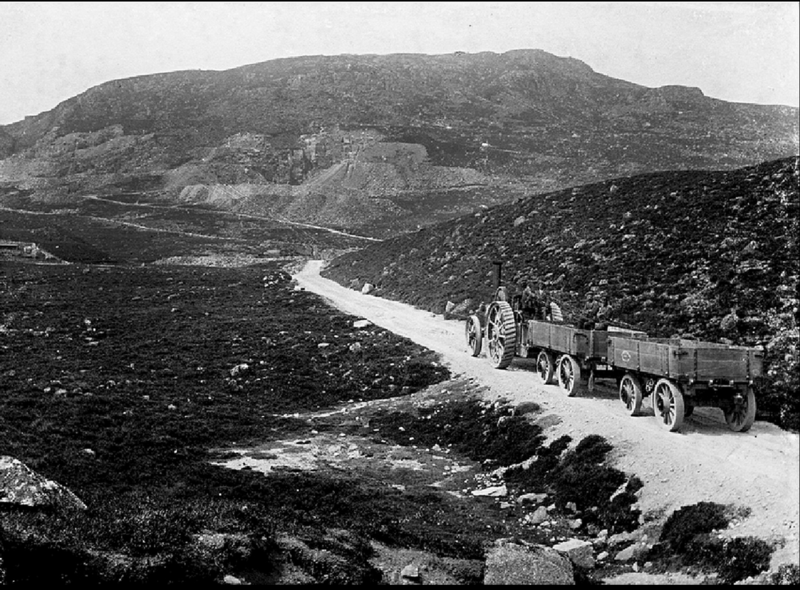 Tractors would be used to convey stone to and from Ballater. Eventually, the stone from the quarry was found to be porous, the stone was then used by the Council for road making until the early 1930's, quarrying for stone then moved to the Inver Quarry close to Balmoral Castle that provided supplies for house building purposes. In early 2013 the Ballater Local History Group began to rescue the crane and bring it back to its original condition, follow this fascinating pictorial story on the following pages. 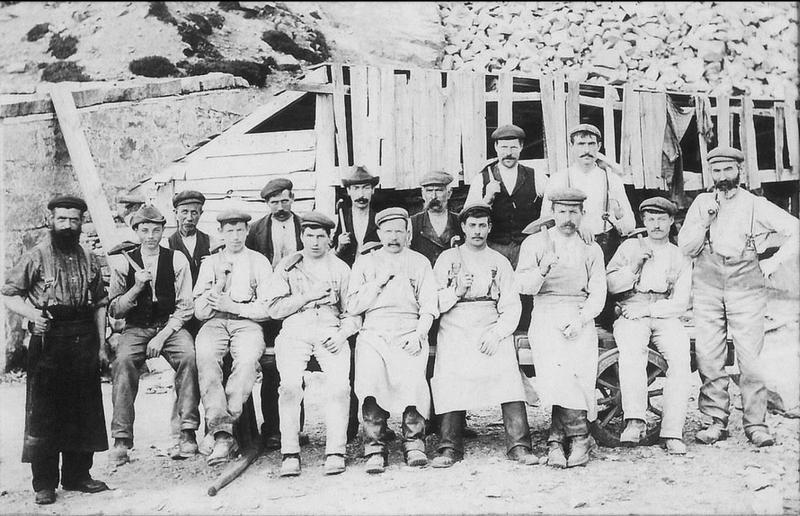 Cambus O' May Quarry Workers, late 19th Century.